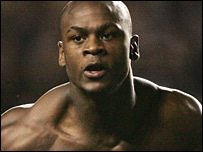 A hat-trick from Leroy Lita saw Reading complete a fantastic comeback against Premiership outfit West Brom as they sealed victory after extra-time. The Baggies were fortunate to be 2-0 up at half-time with a brace from Richard Chaplow on nine and 31 minutes. Lita gave Reading hope with a stylish finish just after the break before he lobbed the keeper on 65 minutes. And the livewire striker scored the winner by slotting home after James Harper miscued early in extra-time. Reading, who are nine points clear at the top of the Championship, carved out the first chance of the game on four minutes when Lita drilled a low shot into the side netting. But it was West Brom who opened the scoring on nine minutes when Chaplow drilled a low left-foot effort into the far corner of the goal. Reading were then unlucky to find themselves 2-0 down on 31 minutes when Chaplow doubled the visitors' tally. Nathan Ellington thundered a half-volley straight at keeper Graham Stack but the ball spilled to Chaplow who had the easy task of tapping the ball over the line. If Reading can have matches as good as this next season it will be great! Lita gave Reading a lifeline just after the break when he pulled a goal back on 51 minutes. John Oster's right-hand cross was blocked into the path of Lita who showed quick feet to swivel and confidently fire a low effort home to put the tie back in the melting pot. Reading continued to take the game to their Premiership opponents and only some last-ditch defending from Wallwork denied Shane Long a chance on goal. Steve Sidwell then went close with a long-range effort before Lita put Reading back on level terms with a fantastic solo effort on 65 minutes. Lita scored his second of the night with a perfectly-weighted lob from 20 yards sailed over Chris Kirkland. Reading continued to bombard the visitors' box with crosses but they were unable to conjure up a winner in normal time. However, it did not take long for Steve Coppell's men to take the lead for the first time in the match when man-of-the-moment Lita completed his hat-trick three minutes into extra-time. Harper surged into the box only to mis-kick his shot but Lita was on hand to slot the loose ball home from 10 yards to complete a super fightback. West Brom, who have only won once away from home in the Premiership, had no answers against their high-flying opponents and never looked like getting themselves back in the tie. Reading will now face Birmingham in the fourth round after the Blues saw off Torquay 2-0 in their replay at St Andrews on Tuesday night. Reading: Stack, Murty, Sidwell, Gunnarsson, Lita (Cox 101), Hunt, Oster (Osano 107), Harper, Ingimarsson, Makin, Long (Doyle 90). Subs Not Used: Hahnemann, Little. Goals: Lita 50, 65, 93. West Brom: Kirkland, Greening (Dyer 81), Chaplow, Albrechtsen, Carter, Curtis Davies, Ellington, Earnshaw, Wallwork (Nicholson 106), Hodgkiss, Inamoto (Rob Davies 90). Subs Not Used: Elvins, Kuszczak.